As detailed on the Instagram Blog, they have updated their iOS and Android apps so that users can now upload videos from their camera roll. 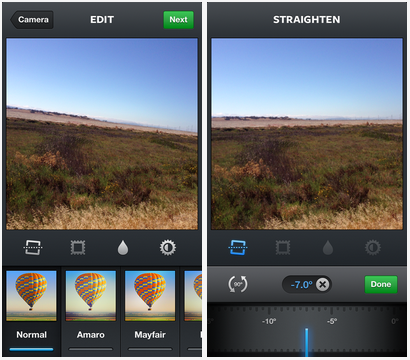 Automatic Straightening for iOS There are few things more distracting than a crooked horizon in a photo. We’re happy to announce that we’ve developed a brand new technology that brings you straight photos instantly. When you take a photo with the in-app camera, you can now tap the new Straighten icon and your photo will correct to be level—it’s that simple. The straightening tool also includes a slider so you can rotate and adjust any photo—including ones imported from your photo library—as much or as little as you’d like. Video on Instagram for Ice Cream Sandwich We’re excited to expand Video on Instagram to people who use Android 4.0 (Ice Cream Sandwich). Since the launch of Video on Instagram this has been the Android community’s number-one request, and we’re excited to see this community grow. Starting today you can upload videos from your phone’s media library and share those moments to Instagram regardless of when they were captured. Once you select the video clip you’d like to import, you can trim it down to the exact part you like best. 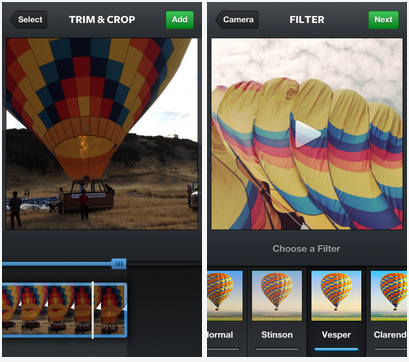 We’ve also made it so that you can choose how you square-crop your clip so you can keep the action front and center.